Slovakia is a mountainous country, crisscrossed by many rivers and dotted with several lakes. Several of the pristine nature areas in Slovakia are classified as UNESCO World Biosphere Reserves in order to protect their outstanding beauty. Here’s the eight best national parks in Slovakia where you can hike, cycle, ski, and enjoy the outdoors. Slovakia’s most famous national park is located in the north of the country, along the border with Poland. The mountain range stretches 53 kilometers from east to west and is known as the “smallest Alpine mountain range in Europe”. Gerlachovsky Stit is the highest peak of the High Tatras at 2,655 meters (8710 ft). You must hire a mountain guide to reach the top, as the ascent is extremely challenging and dangerous. Lomnicky Stit is almost as high, at 2,634 meters (8641 ft), and is accessible for everyone by cable car. In the winter, you’ll find several ski resorts in the High Tatras and after a long day on the slopes or a tough hike, you can relax in the healing thermal waters at Besenova, Tatralandia, or AquaCity Poprad. Situated to the south of the High Tatras, the Low Tatras feature several peaks over 2,000 meters (6568 ft), with the highest being Dumbier, at 2,042 meters (6699 ft). Around 1,600 meters (5249 ft), the tree line stops, leaving bare exposed mountains for adventurous hikers. Passing amongst the rocky paths, it is very common to spot mountain goats. It is almost always windy and a bit chilly (even in summer) at the highest peaks of Dumbier, Chopok, Derese, and Chabenec, so make sure to be prepared for inclement weather. 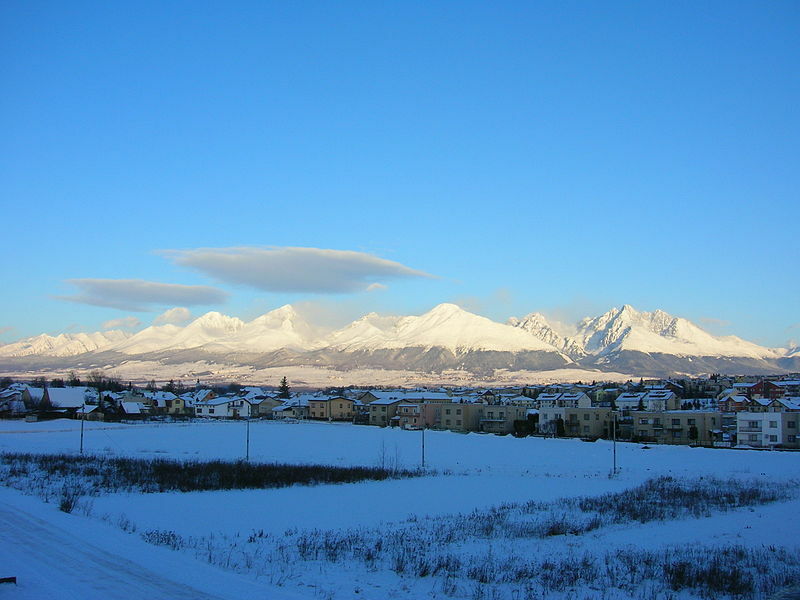 The Low Tatras are also home to Jasna, the largest ski resort in Central Europe with 49 kilometers of marked ski runs. The best time to visit Slovak Paradise is during the summer months, when the waterfalls are flowing in the park. 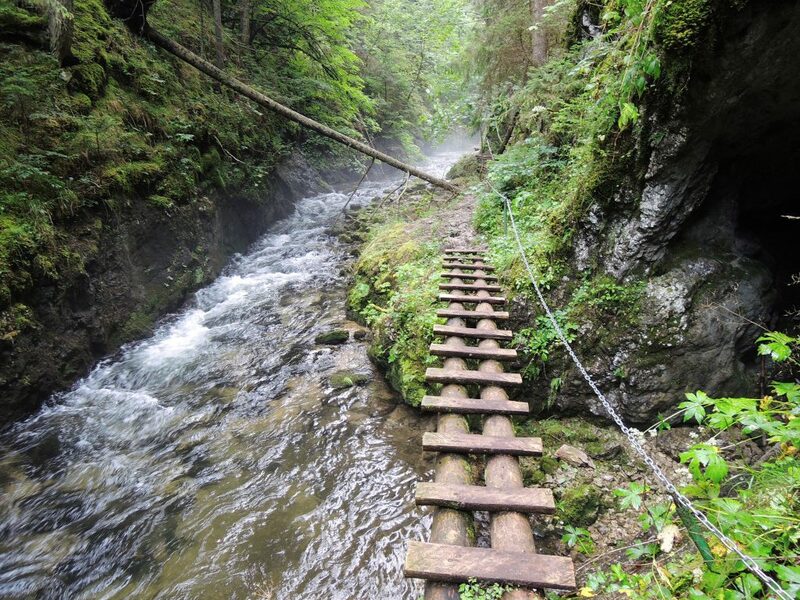 The most scenic trails take hikers across wooden food bridges and up ladders, following the same path as the waterfalls. There is more than 300 kilometers of hiking trails in the park, you can spend days here without getting bored. In addition to hiking, you can also join a canyoning group tour through several of the gorges, complete with carabiners and special hard hats. You can also visit the Dobsinska Ice Cave, one of the most beautiful caves in Slovakia with a year round temperature at or below 0 degrees Celsius. Perhaps the most popular tourist activity in Pieniny National Park is taking a raft trip down the Dunajec River with a guide wearing a traditional folk costume and narrating the journey. There are also several well-marked hiking and mountain biking trails which take visitors through the forests, up hills, and along streams. This is one of the smallest natural parks in Slovakia, but conveniently located to combine with a trip to the High Tatras. The highlight of hiking in the Little Faltra National Park is Velky Rozsutec, which is considered by many to be one of the most beautiful mountains in Slovakia. There is even a legend that gold is hidden somewhere on the top of this mountain. No one has found it yet, so plan your trip! Even if you don’t find gold, you’ll find stunning views at the top. If you choose to visit in winter, the Vratna Dolina ski center is the largest in this region with about 15 kilometers of slopes and 13 ski lifts. Nearby, you can also find Slovak Bethlehem at Rajecka Lesna, a beautiful pilgrimage site which depicts the birth of Jesus in Bethlehem as well as stories from Slovakia’s history. It is a national masterpiece, and a meaningful site for those of the Christian faith. The historic village of Cicmany is also in this region. Cicmany is famous for being the first folk architecture reserve in the world and stuns visitors with intricately decorated log homes. 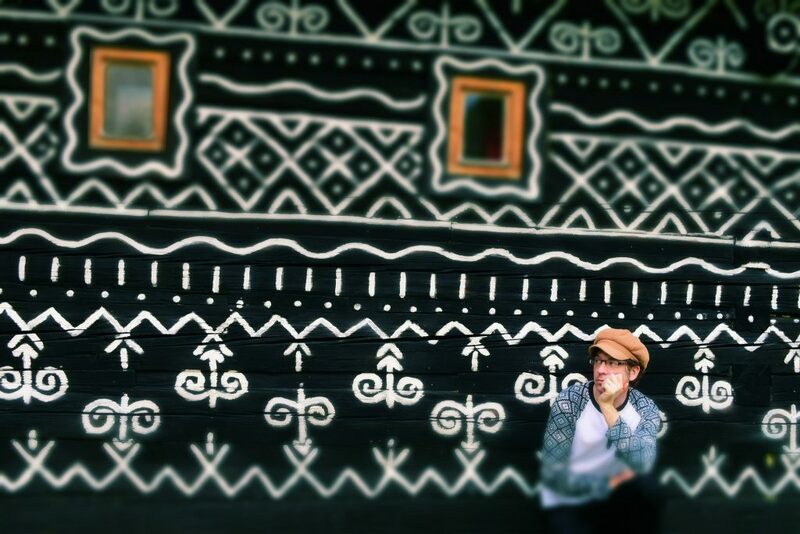 The white folk ornamentation is typical for Slovakia, and is often used as a symbol of national pride. Forests cover more than 80% of the protected nature area in the Poloniny National Park. “Poloniny” means “meadow” in Eastern Slovak dialects and there are, of course, many beautiful mountain meadows in the park. Beech trees are also abundant and some areas of the park are included in the Primeval Beech Forests of the Carpathians, which is a UNESCO World Heritage Site. In the winter, marked cross country skiing trails offer a popular weekend escape. In the summer, you’ll find many tourists from neighboring countries, who are enjoying some fresh air and hoping to spot the protected European bison who live in the park. Poľana was declared a UNESCO biosphere reserve in 1990. The most interesting feature of the area is that it’s highest point, Po’lana, at 1,458 meters (4783 ft), is actually an inactive stratovolvano. The educational signs at the top of the hiking path to Po’lana point out the ancient rocks from the volcano and the small crater. Near the top you’ll also find a cozy buffet serving drinks and basic fare to weary hikers or ski alpinists. If you start your hike to the top from the town of Hriňová, you’ll pass by terraced fields which many visitors say look transported from Tuscany. You’ll also get to visit a beautiful church on a hill overlooking the town. Keep going up to reach Vodopad Bystro, a gorgeous 23 meter (75 ft) high waterfall which was formed by volcanic activity as the lava flowed down through this steep area. You’ll have to climb a narrow ladder to continue hiking up towards Po’lana after the waterfall and doing so is fun for adults but not recommended for small children or dogs. You can choose to hike back down to Hriňová, or to take another trail towards Detva, a small town with deep folk traditions, and many shops selling Slovak embroidery – a perfect souvenir from your trip! There are many caves to explore in this national park located in the southeast region of the country. 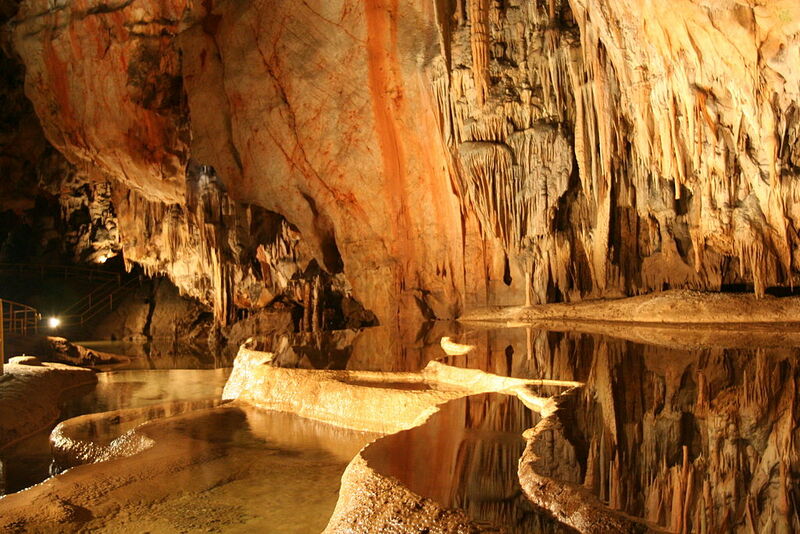 The most famous are Domica Cave and Jasovska Cave. Visitors can also enjoy several hiking trails alongside lakes and small waterfalls, especially a series of 10 small falls in the Hajske valley. The Zadielska gorge is a three kilometer long and 400 meter (1312 ft) deep karst canyon, carved out by the intensive erosive activity of the stream which flows through it. You’ll also be able to admire castle ruins on a hill over the town of Turna nad Bodvou.